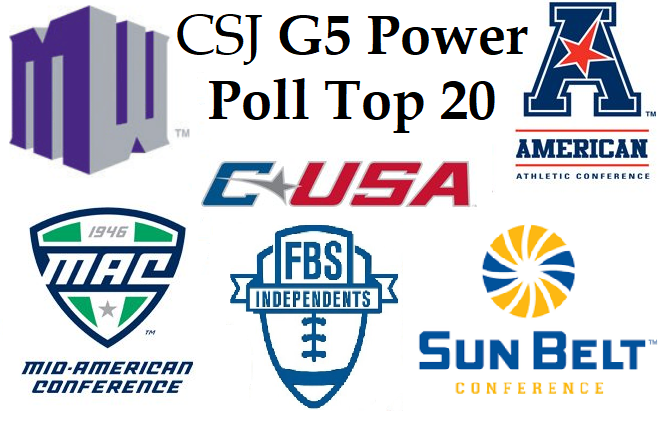 The power poll looks very similar this week with the Top 9 all in the same position as last week. All Top 9 either were on a bye or coming out victorious last week. Time is again short for me this week but here is my Top 20 below with the results and next opponents listed. We do have two new teams and two moving out this week.